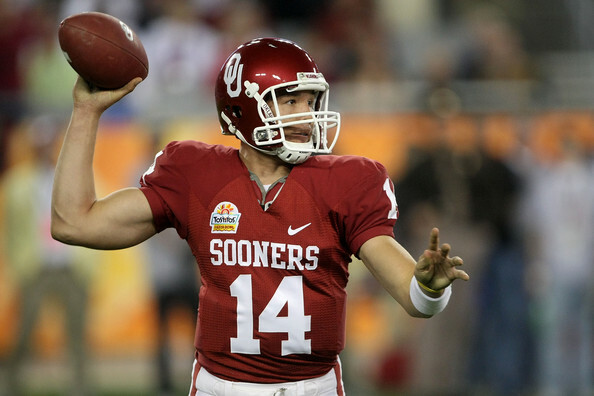 Former Oklahoma QB Sam Bradford has surrendered in his battle with the Philadelphia Eagles. UPDATE: Quarterback Sam Bradford released the following statement after reporting to Eagles' voluntary workouts on Monday. "I'm excited to be back on the field today with my teammates and coaches," Bradford said in a statement released Monday. "The business-side of football is sometimes a necessary consideration. My attention and efforts are focused on the participation in and preparation for a championship season: I am committed to my teammates and the Eagles organization for nothing less."